Antioxidants are chemicals produced naturally that can help to prevent and repair damage to your body's tissue. There are many factors that can affect your skin in harmful ways. Elements such as air pollution, cigarette smoke and sunshine are culprits that act against the skin by damaging it. Antioxidants help by slowing or preventing the effect of these free radicals, which start oxidation - a process that causes damage from oxygen that can lead to cell dysfunction. If you've seen a peeled apple turn brown, you've seen oxidation in action. 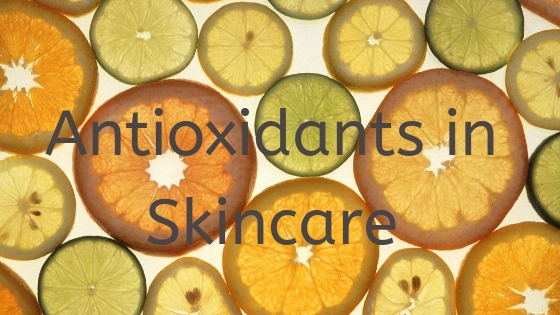 As antioxidants block the effects of free radicals, they end up being oxidized. This is why it's important to constantly replenish your supply of antioxidants. In addition to helping fortify cells against free radicals, antioxidants also encourage cell and tissue growth, by helping to produce Collagen helping to fight fine lines and wrinkles. So it's not only important to apply a sunscreen daily to prevent premature ageing and skin cancer, but also apply an antioxidant to protect you from environmental damage that can also accelerate ageing and even contribute to skin cancer. So what can Vitamin C do for us? A Vitamin C serum is a proven, beneficial addition to your skin care regime. For more information, visit WebMD and read their article which explains the importance of antioxidants in skincare, remember you need to use the correct strength of antioxidants in order for them to be effective. If you need professional skincare advice, don't hesitate to contact us.